Dr. Henk Eijkman has over 20 years experience as a learning innovation consultant in a range of tertiary educational institutions in Australia that has also taken him to Malaysia, South Africa, Palestine, and India. These institutions have included the University of New South Wales, Canberra Campus, The University of New England, Monash University, The New South Wales Police Academy, and Technical And Further Education (TAFE), New South Wales. Dr. Eijkman is currently a visiting Fellow at the UNSW Canberra Campus and visiting Professor of Academic Development at ADCET Engineering College, India. Henk was awarded his PhD from the University of Canberra in 2004 (with his thesis ‘Online Learning as Curricular Justice? A Critical Framework for Higher Education’). Before that he gained a Graduate Diploma in Technical Education with Distinction (1994), a Master of Arts, in Sociology (1990), and a Bachelor of Arts, Social Science (with Distinction) in 1987. Henk’s ability to operate effectively as a learning solutions specialist also draws on his richly diverse life experiences. Starting out as an aircraft maintenance engineer but wanting to work with people rather than machines he then worked in the social welfare sector. Subsequently as a sociologist, he turned to teaching in the social sciences. These experiences led him to develop an interest in facilitating strategic innovation and leadership in learning. He has consequently gained a reputation for being at the cutting edge of developments in assessment, curriculum and educational technologies in on-campus and flexible learning environments. His pervasive interest in access and equity in tertiary education, and his work in diverse cultural contexts, such as in South Africa, Malaysia, Palestine, and India, has led to a keen interest in exploring non-western, post-colonial perspectives on education, learning, educational research, social inclusion, and leadership and in working with educational institutions, organisations and communities in disrupted and post-conflict societies. This reflects a central theme running through his professional career: the desire to engage in projects that make a genuine difference to communities and marginalized social groups and a distinct preference for participatory approaches to action learning and action research. 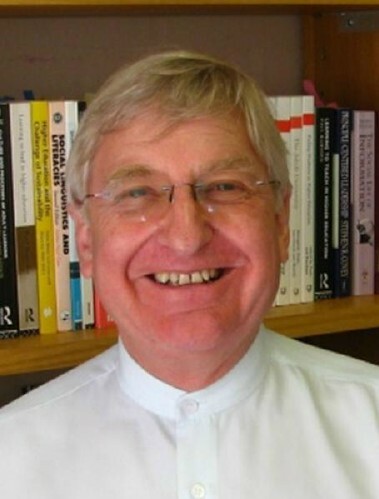 Consequently his work and research agenda, firmly grounded in a social theoretical perspective on learning, focuses on the development of communities of practice, the role of social media in learning in tertiary and community settings and organisational knowledge-work; leadership, and advocacy geared to organisational culture change; the politics of knowledge; and post-colonial approaches to the internationalization of learning. As well as being the editor-in-chief of ‘The Learning Organisation’, co-editor of the International Journal of Quality Assurance in Engineering and Technology Education (IJQAETE) he has been a keynote speaker and publishes widely. He is co-editor of two books, an author of book chapters and of numerous papers in international journals. He presents conference papers and serves on a number of Conference Committees.